Stephen Strasburg was the No. 1 overall pick in Major League Baseball's 2009 Draft. Thanks to his MLB Debut, he is now baseball's No. 1 sensation. Strasburg took the mound versus the Pittsburg Pirates on June 8, 2010 at Nationals Park and very quickly became a household name. Strasburg set a Nationals record by striking out 14 batters including the final seven he faced. Plus, the 14 Ks combined with zero walks established a new MLB record by a pitcher making his debut. And you were there. 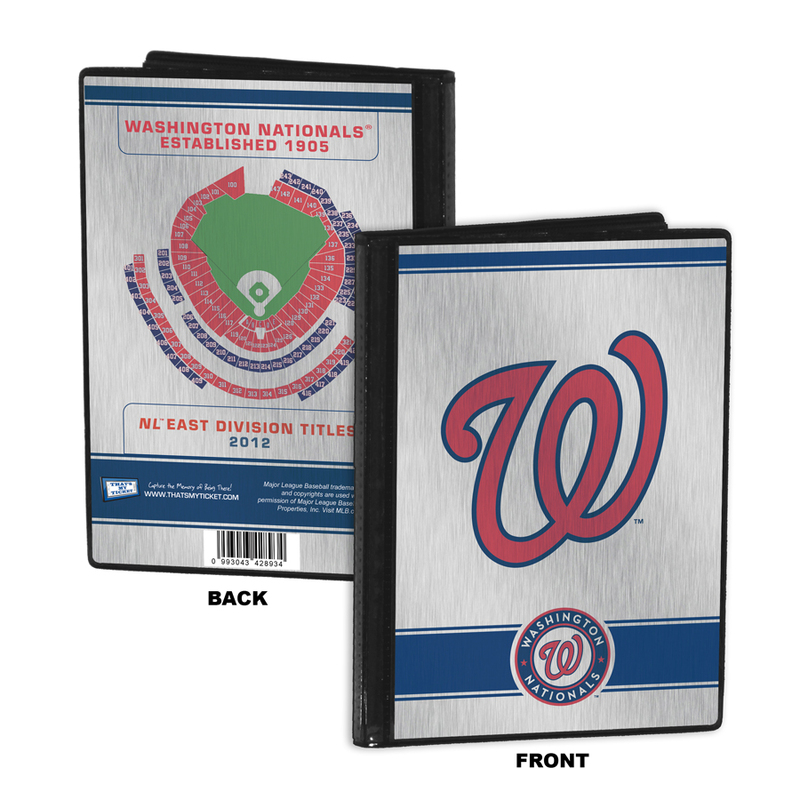 Capture the memory of Stephen Strasburg's historic debut with a Ticket Frame Jr. See below for more details. 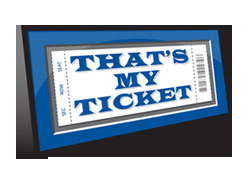 Placeholder for your ticket that utilizes professional-grade mounting corners to preserve the condition and value of your ticket. Your ticket is the one item you can point to and say "I was there. That's My Ticket." Headlines trumpeting Strasburg's record-setting debut. Officially licensed 8x10 photo from the event as shown. Complete box score from the historic game. Stephen Strasburg was the No. 1 overall pick in Major League Baseball's 2009 Draft. Thanks to his MLB Debut, he is now baseball's No. 1 sensation. Strasburg took the mound versus the Pittsburg Pirates on June 8, 2010 at Nationals Park and very quickly became a household name. Strasburg set a Nationals record by striking out 14 batters including the final seven he faced. Plus, the 14 Ks combined with zero walks established a new MLB record by a pitcher making his debut. And you were there. 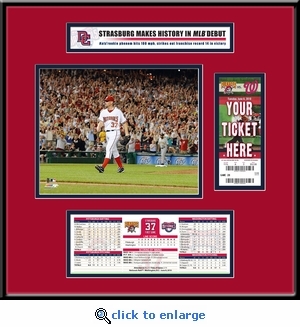 Capture the memory of Stephen Strasburg's historic debut with a Ticket Frame Jr. See below for more details.